Hi there! 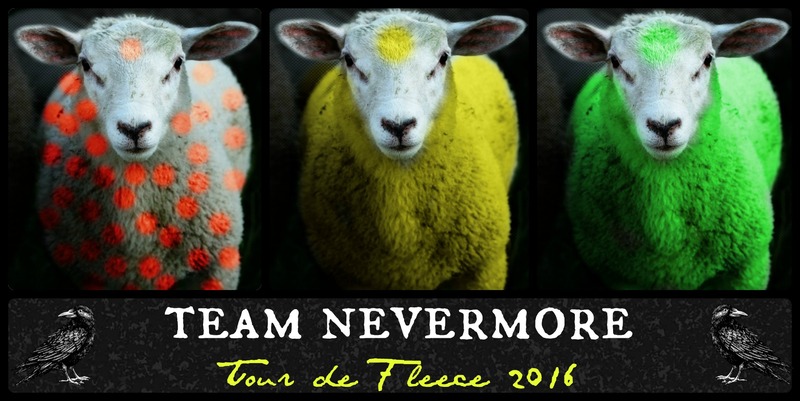 This is the official page for our Tour de Fleece [TdF] team of 2016, Team Nevermore – you can find a team roster, links to all the important posts, and the prizes all listed here. I’ll also post up the “rules” such as they are, and some images for you to steal and use in your TdF posts and around the net! BIG thanks to StarAthena, who started this whole thing in 2006, for giving us permission to do our own thing and use her graphics. She’s the bomb and super smart for thinking this up in the first place! 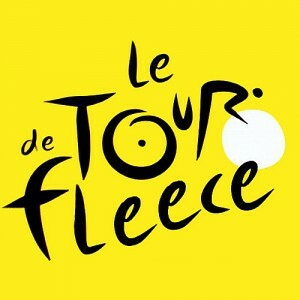 This year, the Tour de Fleece starts Saturday July 2nd and runs until Sunday July 24th, 2016. And most importantly: challenge yourself, but HAVE FUN. That’s what this is ALL about! I plan to share as many pics and posts about my progress as possible, both to keep myself accountable and to encourage others. Your blog posts will also get linked here if you share them with me! This is a closed Facebook group, but you can easily join by putting in a request; you may also pledge to ride along with us by posting a reply to this page and I will add you! From Threeravens Fiber Studio: a Treat Yourself To Inspiration Box, filled with a selection of some various yarns/threads for plying or for adding effects… there will also be some fibers for adding into your work in various ways… I’ll also include beads or trinkets or feathers or other unusual objects for add-ins. It’s your job to add the imagination! From Threeravens Fiber Studio: 2 ounces of custom-carded fiber that I’ll blend to your specifications. Build the batt of your dreams! A really lovely prize from Paula Tosi! This is a one ounce wool/silk batt in Tour “Success” Yellow, and a “Lollidrop” spindle in polka dots – for every uphill climb! From Megan Luke, we’ve got a sweet package from her businesses: 2 ounces of dyed mohair locks from Ice Nine Aesthetics, and a bag of Citrus Spice loose leaf tea from Pure Heart Botanicals. A generous prize from Rose Duke – 7.4 ounces of soft, washed Rambouillet fleece in dark brown. [ironically, this came from Threeravens! I know how awesome this fleece is, she’s being really kind in giving it up!] Staple length is 2-4 inches when stretched. Really nice! Heather of Mama’s Craft Room is offering this lovely combo of two mini batts with coordinating Wensleydale locks, weighing in just over 4oz total. So soothing! A great prize! From Lizzy of Seamrog Knits: an Irish Grab bag of goodies! Undetermined awesomeness that will surprise and thrill you!